I have not posted a haul post in a while, and come to think of it, I have never actually posted just a casual haul. They are always hauls of big warehouse sales or annual sales but I LOVE reading other people’s hauls so I thought that I should post my own every now and then (WHAT a reason to shop, right?). In America people call the shops where they buy low to medium end make-up a ‘drugstore’ but we just refer to those shops by their actual names. Namely, Clicks and Dis-Chem. Both are pharmacies where you buy medicine and such from, but they also sell hair things, make-up, skin care (not high end either) etc etc. However, I have never in my life said “I am just going to the pharmacy to get make-up). People will look at you funny. So this is my little haul from when I went to Clicks last weekend. 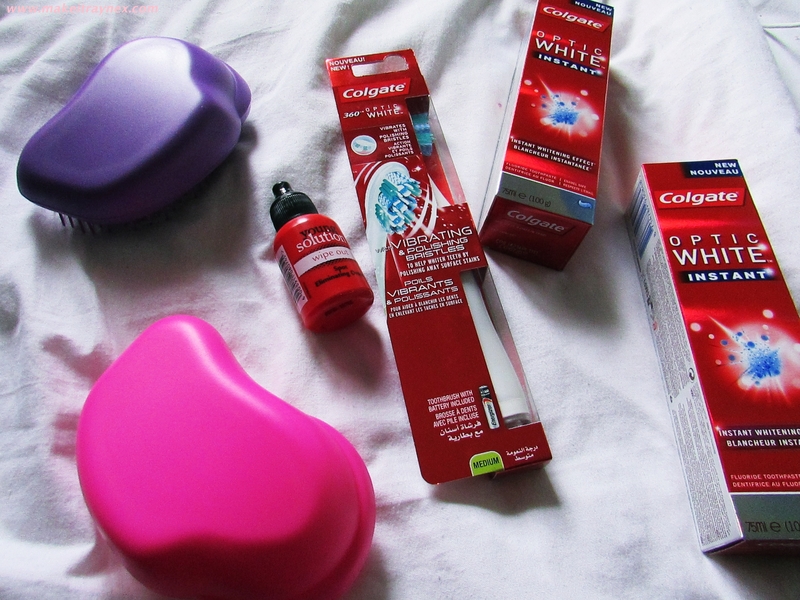 Can you ACTUALLY deal with how cool my life is that I included toothpaste and a toothbrush in this post? Seriously though, I was not going to include those three but I decided to mainly due to the fact that I purchased them based on a very famous beauty Youtuber’s recommendation. Lauren Curtis claims to use this Colgate Optic White Instant toothpaste and 360 Optic White toothbrush to keep her teeth sparkling white. I have been seriously contemplating going for teeth whitening sessions so I am willing to try this out before forking out for the whitening sessions. These fake Tangle Teezers really caught my eye in store because, well, what is a Tangle Teezer doing in Clicks? Upon closer inspection I realized that they were in fact generic and only R25 so I got myself and my sister one. I have not really used this yet as I very rarely brush my hair but for R25.. even if they only last a month I will be impressed. And then lastly from this store I purchased the Young Solutions ‘Wipe Out’ zit and pimple blaster. This is a brand which I have not used since high school and, while I do not suffer with bad skin, I have been having a few random nasty spots popping up to do this hectic Winter weather and after seeing a local blogger post about it, I decided to grab one too. Next up is the GOSH Anti-Wrinkle Foundation Primer. 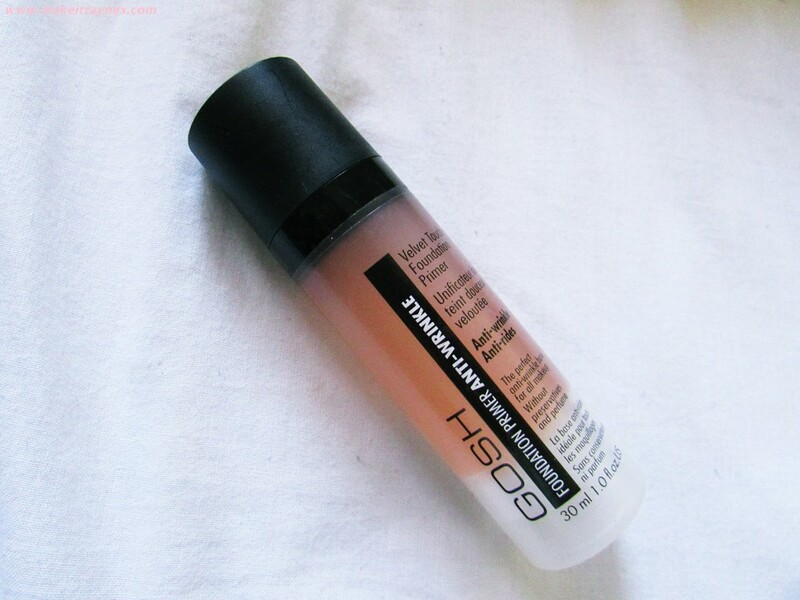 I have always been a fan of the GOSH primers and this is a repurchase. People tend to complain that the first few pumps are super flaky and the serum is a bit cakey but honestly once those first few squirts are out of the way you will love it as much as I do. I have a full review on this one in the making. 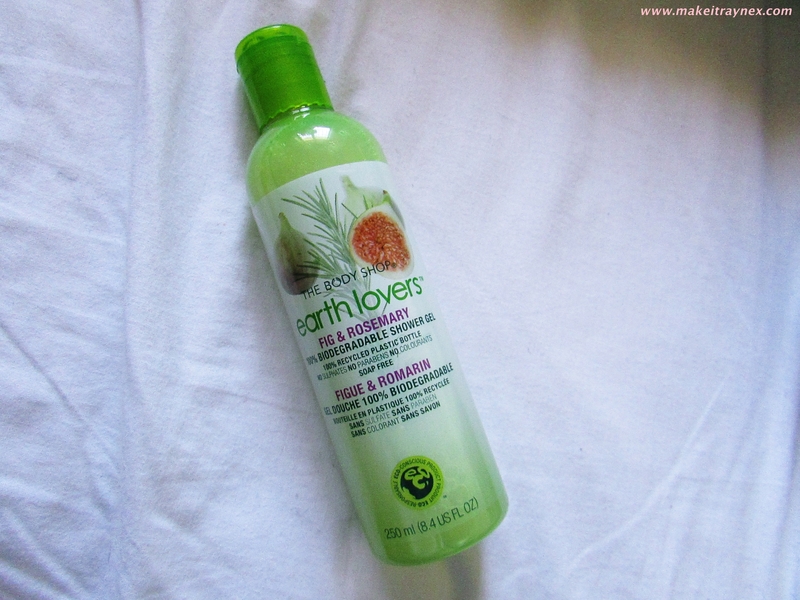 The Body Shop Earth Lovers Fig & Rosemary Shower Gel is such a winner in my books. I have always prefered The Body Shop’s shower gels over other brands due to the fact that theirs are all soap free. Your body just feels so much more cleansed and refresh afterwards! I do not personally eat figs but this smell combination is seriously a dream. Also, the bottle is biodegradable. Cool cool, no? 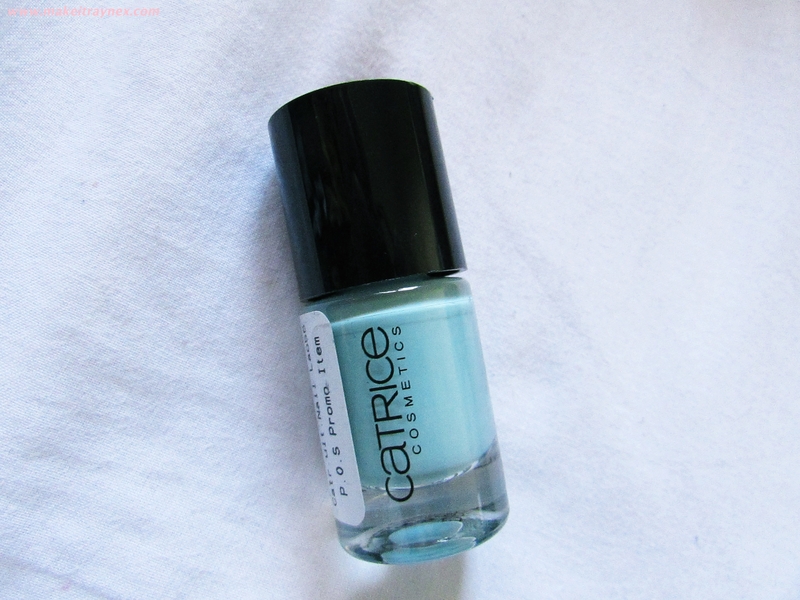 Catrice Nail Lacquer in 56 Minter Wonderland. Anyone who knows me knows that I am not reeeeally a nail polish person but I do have a few colours which I love and will religiously use. Essie in Mint Candy Apple was one of those colours until I accidentally broke it a few weeks ago and I replaced it with this Catrice Nail Lacquer in 56 Minter Wonderland. And come on. How is that name? I literally love it just because of the name. Okay.. and also because it is so damn gorgeous. Lets hope it has great staying power, too! 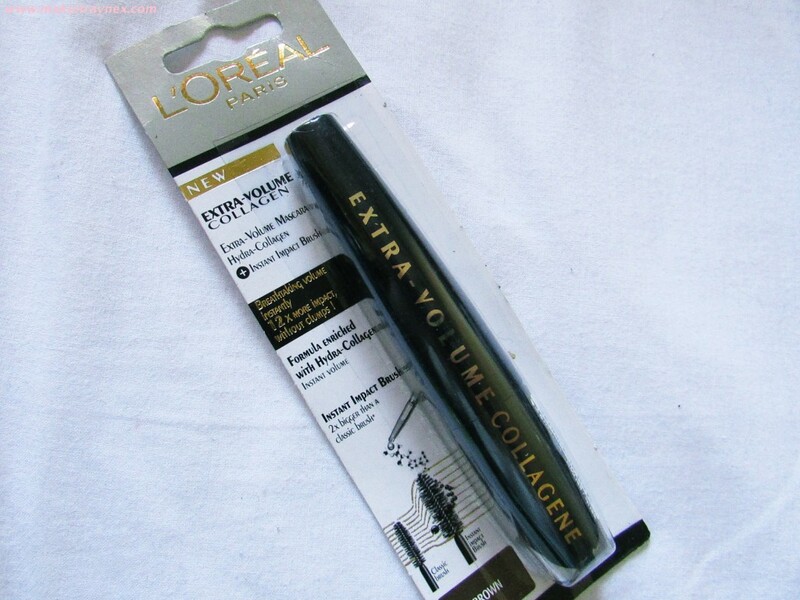 L’Oreal Paris Extra-Volume Collagen Mascara in brown. I usually tend to repurchase my Maybelline Volum’ Express but I won a competition a while ago and I was sent the L’Oreal Oh So Couture mascara which I ended up really really loving so I thought I would try this one out as I have seen some pretty good reviews on it 🙂 I also got it in brown which is so weird for me but I really want to start trying out some more toned down and demure looks. What did you think of my haul? Have you tried any of these products? Would you like to see more hauls in the future? Would love to know what you think of the fake tangle teezers! I always want one but find it slightly ridiculous to pay almost R300 for a brush.